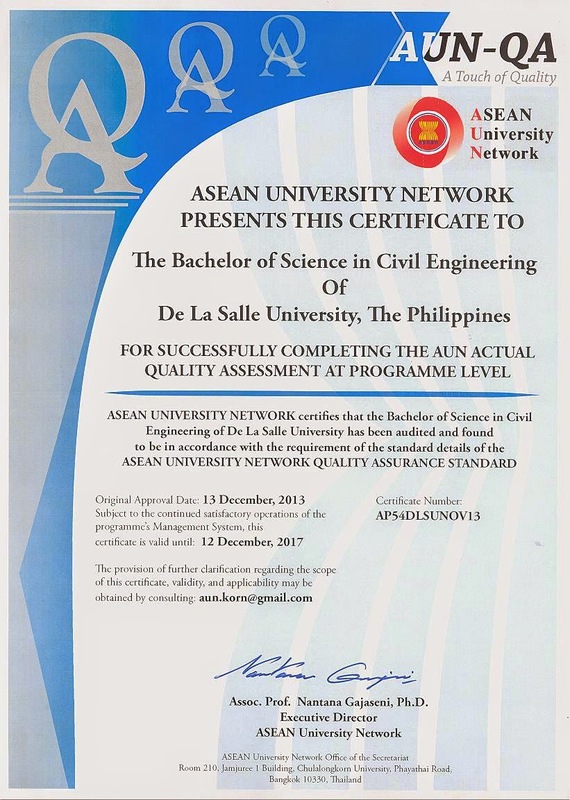 The BSCE program of De La Salle University which was audited on November 11-13, 2013 by the AUN-QA assessors (Prof. Ir. Dr. Shahrir Abdullah, University Kebangsaan Malaysia and Assoc. Prof. Dr. Suprijadi Haryono, Institut Teknologi Bandung) was found to be in accordance with the requirements of the standard details of the ASEAN University Network Quality Assurance Standard. Read related blog on actual assessment. According to the results of the assessment, "the Civil Engineering programme has put in place quality assurance approaches to address the criteria spelt out in the AUN-QA guidelines. Of the 15 criteria, one (1) criterion, namely stakeholders satisfaction, was commended as 'example of best practice', eleven (11) criteria were rated 'better than adequate' while three (3) criteria were rated 'adequate as expected' ”. From a scale of 1 to 7, the overall verdict for the BSCE program was 4.9. Based on the self-assessment report, evidences and interviews, the Civil Enginneering programme fulfilled all criteria. Overall the quality assurance implemented for the programme is between “adequate as expected” and “better than adequate”. The three areas that needs improvement are (a) facilities and infrastructure, (b) QA of teaching and learning process and (c)staff development activities. 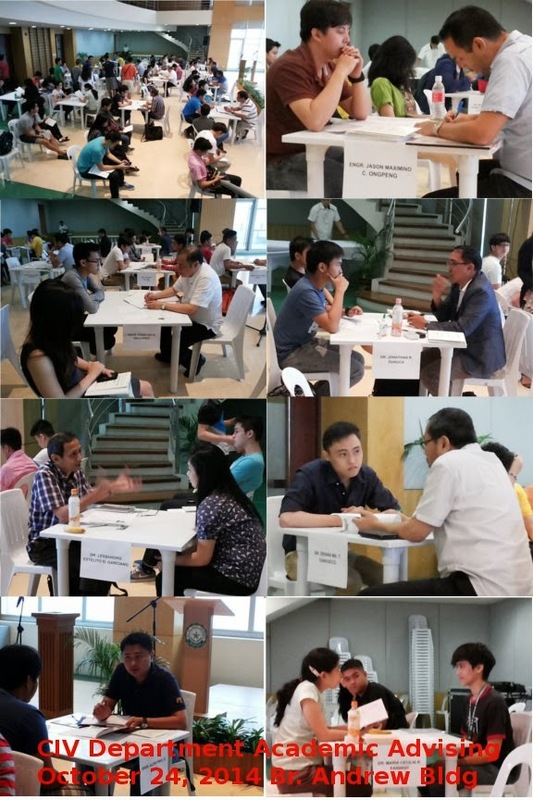 Last October 24, 2014, the CE Department conducted Academic Advising for Froshies and the upper class students who need faculty advice and guidance. Under this activity, the performance of the student is assessed based on the grades of the previous term. The faculty provides sound advice and recommendation such as "avail of tutorials", "consult guidance counselor", "enroll a subject on specific term", etc. This is the first academic advising after it was revived this school year. The academic advising is aimed to monitor the performance of the students and to introduce intervention for those who are performing poorly in some courses. 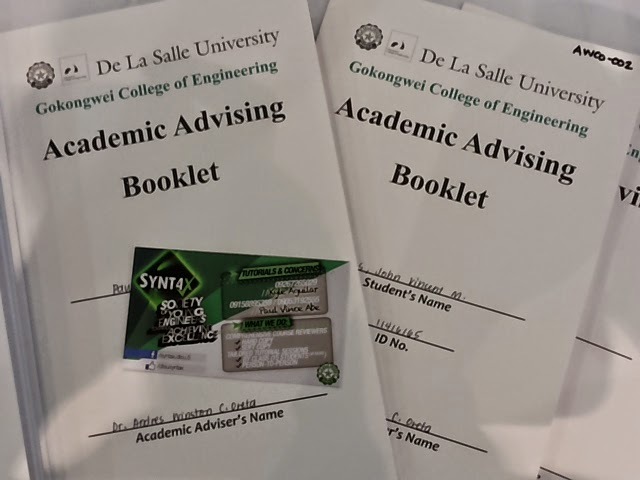 The academic advising is one activity of the Gokongwei College of Engineering for assuring quality education at DLSU-Manila. DLSU faculty and students attended the 5th Asia Conference on Earthquake Engineering (5ACEE) commemorating the 15th Anniversary of the Chi-chi Earthquake held on October 16-18, 2014 at Taipei, Taiwan. The ACEE was founded by the Association of Structural Engineers of the Philippines in 2004 and the 5ACEE is hosted by the National Taiwan University and National Center for Research on Earthquake Engineering (NCREE) of Taiwan. Dr. Andres Oreta, attended the meeting of the 5ACEE International Scientific Committee (ISC) where the host of the 6ACEE was discussed. It was decided that the 6ACEE will be held in the Philippines and to be organized by ASEP on September 2016. Dr. Oreta and Kirk Yu also joined the technical tour at the NCREE laboratories where the shaking table, static testing equipment, isolated floor and other state-of-the art equipment are located. The program concentrates on Resources and Environmental Engineering. 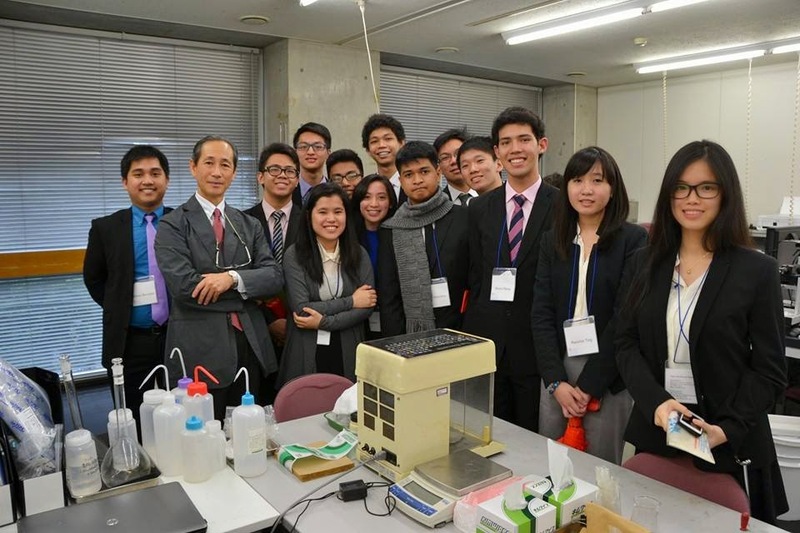 With Waseda University as the host school, multiple lectures were conducted along with laboratory tours. Among the distinguished speaker is Prof. Shuji Owada. He talked mainly about the relationship of economy, population, food, and industry resources along with its importance to the society. They also showcased the Owada laboratory facilities with the help of Prof. Owada’s research assistants. Most of their research focuses on how to improve the recycling processes and how to solve resource problems. 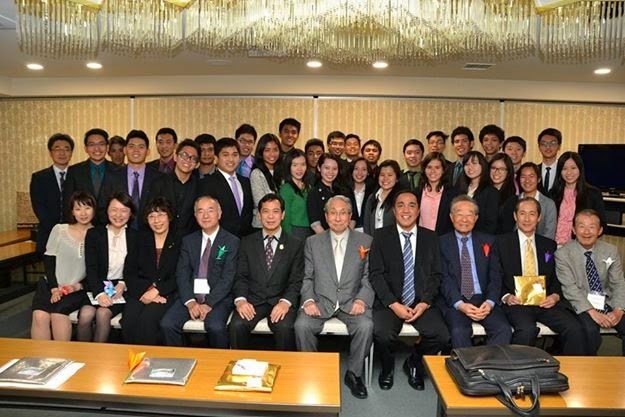 During the first day of the program, the DLSU delegates were warmly welcomed at the Waseda University. They prepared a welcome party which became an avenue of sharing of experiences. 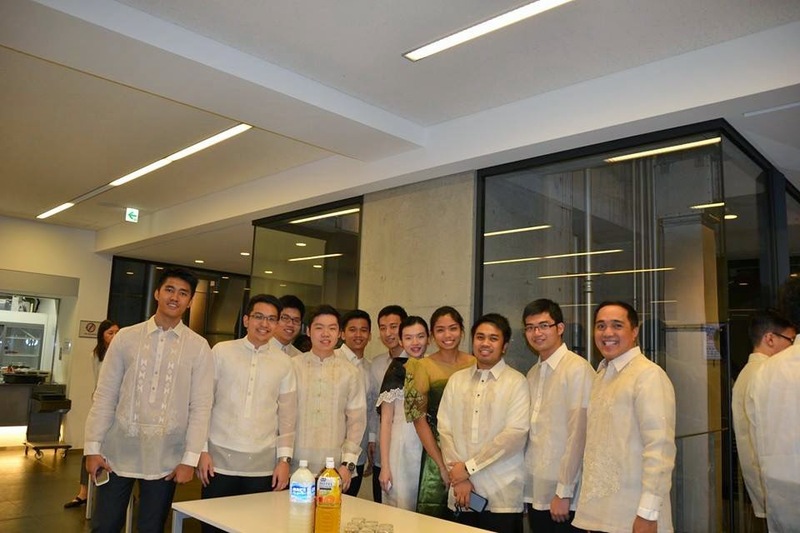 The DLSU students also had a chance to mingle with Japanese students and were able to showcase each other’s culture. Some members of the hosting organization were also present in the event. 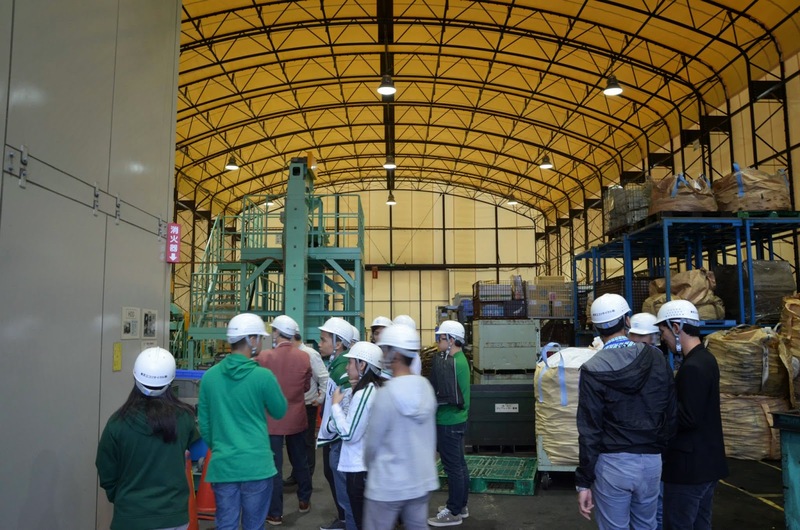 The exchange program participants also visited two Tokyo recycling plants. Both plants are recycling electronic wastes such as appliances, refrigerators, air conditioners, printed circuit boards (PCB), computers, laptops, and the like. The wastes undergo a rigorous process to obtain rare useful metals which they sell back to the industry. The program was culminated by different presentations organized by the DLSU students. Message of appreciation were given by representatives of both parties. Members of the administrators of the event – Japan Science and Technology and Asia Peace Making center were also present in the farewell party. The program was ended by the awarding of certificate of achievement for the course to the delegates by Michiharu Nakamura, PhD., President of Japan Science and Technology.